You may have heard recent horror stories about people getting serious infections and even sometimes losing limbs at salons that do not adhere to proper safety and sanitation guidelines. Well we want to tell you the safety guidelines that our schools practice to make sure that this NEVER happens to one of our clients. 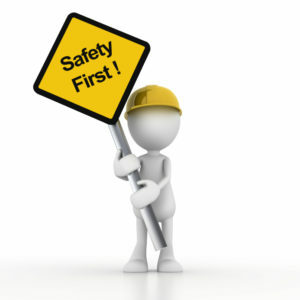 At the Academy of Beauty Professionals, our students are taught strict safety and sanitation standards. They use single-use disposable implements. They also learn how to spot possible infections that could spread disease from person to person, such as tinea pedis (fungus) and verruca (warts). If you know or think you may have an infectious disease, it is always best to seek treatment and guidance from a medical doctor rather than from your manicurist. Nail technicians are only able to treat healthy hands and feet. Did you ever wonder why our schools don’t use those fancy pedicure chairs with the whirlpool tubs? It’s because those tubs are a huge culprit of spreading infections in nail salons! It’s incredibly difficult to completely sanitize the water in those tubs after each use. So instead, our schools use portable tubs of water that are completely scrubbed and sanitized after each use. Never be afraid to ask see credentials and certificates of training from your salon!